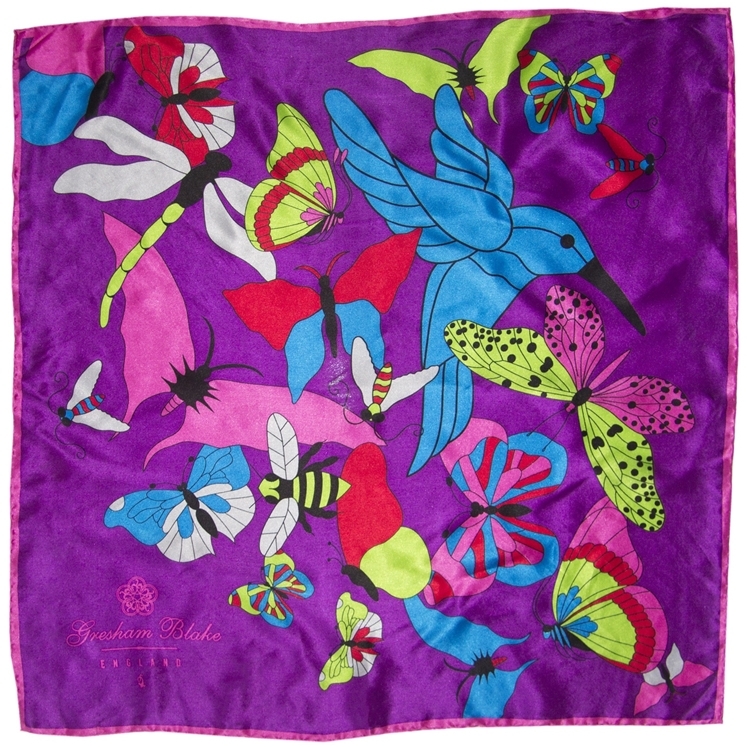 "Luxuriously vibrant pink 100% silk pocket square with a vibrant design of butterflies, bees and hummingbirds and the Gresham Blake logo. Limited edition. 40cm X 40cm."